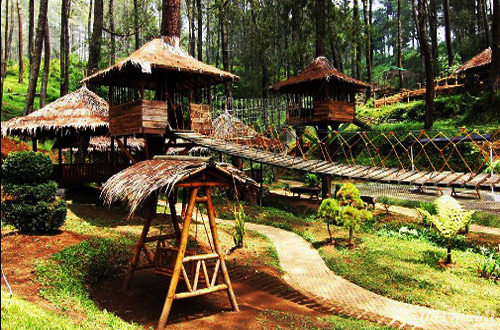 During the holidays to Bandung, you can stop by the Tourism Grafika Cikole Terminal where there is a tree house where children play. 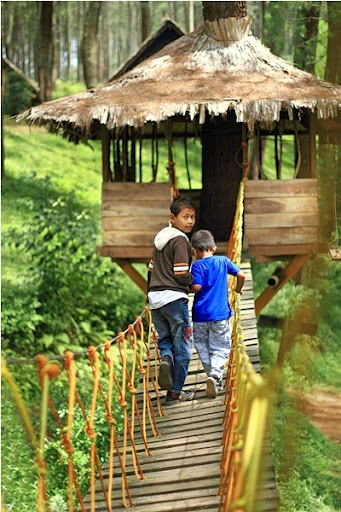 The tree house is a good educational tool for the development of child psychology to train children and stimulate coordination courage gestures because the child will walk across the bridge at an altitude of about 3 meters above the ground. 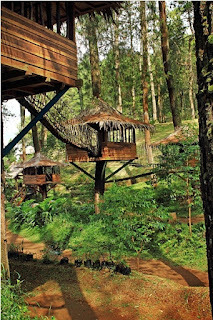 This tree house consists of 4 tree houses connected together by 3 pieces oval type of bridge. 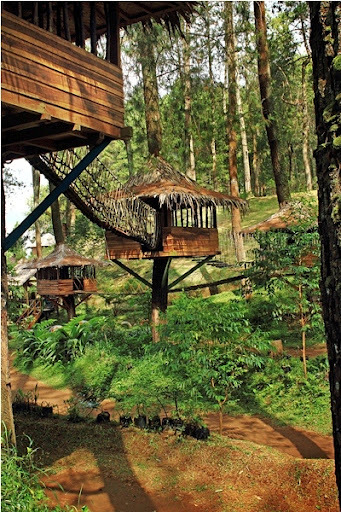 There is only one tree house to get in and one to get out of the tree house. The tree house is a fun game for the rope bridge would sway when kids across the rope bridge. 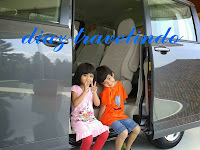 Tree house can be enjoyed with Rp.35.000, - / child. 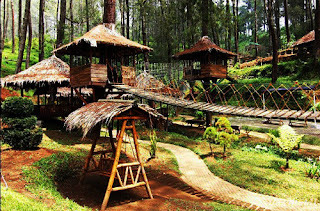 While the children play in the tree house and the parents and family can enjoy a meal at Lesehan Huts because the location is a tree house area with Lesehan Huts.